This single organ controls every aspect of the body, ranging from heart rate and appetite to emotion and memory. The brain controls the immune system’s response to disease and determines, in part, how well people respond to medical treatments. It shapes our thoughts, beliefs, hopes, dreams, and imaginations. It is the brain’s ability to perform all these functions that makes us human. Give the omnipotence of the brain in our everyday lives it should not be surprising that there is a growing interest in the connection between neuroscience and sociology. The past few years have seen a small but steady number of academic articles that explore such topics as the emerging dialogue between sociology and neuroscience, the intersections of cognitive sociology and neuroscience, and the social life of the brain. 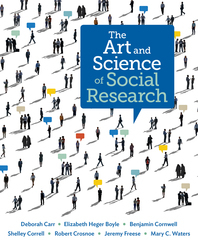 The sociologist Russell Schutt and his colleagues have also published the groundbreaking book Social Neuroscience: Brain, Mind, and Society (some may notice the subtitle’s reference to George Herbert Mead's seminal work). The study of the brain is undeniably a fascinating topic. But it can also be undeniably intimidating—especially for those of us who gravitated toward the social sciences because we felt more comfortable studying people and societies than studying cells, molecules, and atoms. Still, even for those of us who might be somewhat intimidated by the physical sciences, the study of neuroscience can offer us some illuminating and accessible insights. The Everyday Sociology blog is full of examples of the sociological imagination; however, in this post I want to convey a sense of the neuroscientific imagination. To accomplish this, I will briefly discuss three examples of what happens to our brains when we study sociology. Like most academic disciplines, sociology is all about thinking critically. However, we don’t always do a good job of explaining what we mean by this process. Critical thinking suggests that we try to see beyond the obvious, we challenge taken for granted assumptions, we ask in-depth questions, and we offer explanations that take into account multiple factors. I consider myself a qualitative sociologist. Nevertheless, I’m not averse to doing statistics or math and so the findings I am about to discuss actually resonate with me to some extent. Most sociologists have to engage in some statistical analysis at various points in their education. Courses in statistics are common in undergraduate and graduate programs so it’s safe to assume that the majority of sociologists have learned the formulas for probability, standard deviation, chi-square, regression, and maybe even advanced statistics such as factor analysis. According to recent neuroscientific research, when we study mathematical equations the response in our brains might be similar to what happens when we view artwork or hear music. Apparently, if certain mathematical formulas are deemed to be “beautiful” then the medial orbito-frontal cortex region of the brain is activated (again, I have little idea what this neuroscientific jargon actually means but it is fun to toss it around). This is the same region of the brain that gets aroused when we experience musical or visual beauty. So if you find the following formula of standard deviation beautiful then your brain may be experiencing the same sensation as if you hear a lovely song or see a masterwork of art. One of the interesting findings of this study, and something that might be useful for sociologists who use quantitative analysis, is that when research subjects understood a mathematical equation they were more likely to deem it beautiful. Consequently, they were more likely to have the medial orbito-frontal cortex region of their brain activated. Although this relationship was not always consistent, it does suggest something that many of us may have experienced anecdotally: that when we can gain a deeper understanding of sociological statistics we might actually find them more pleasing to use. Some of us resist engaging in quantitative analysis because we don’t find it particularly enjoyable. This research reminds us that while our resistance to learning statistics may not be futile it may be counterproductive. In effect, if we can better understand statistics our brains may actually help us enjoy them more. 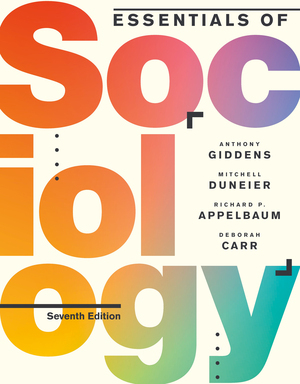 The connection between sociology and neuroscience that I find most relevant relates to our discipline’s constant inquiry into the ills and –isms that plague the modern world. 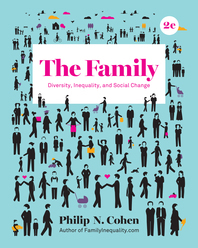 For many of us, the study of social problems and social inequality is part of the bedrock foundation of sociological analysis. Whereas some students might leave their first sociology session mentally exhausted from thinking too hard, others often leave their first sociology semester emotionally exhausted. After learning about so much of the pain and suffering caused by structural factors such as racism, sexism, homophobia, and poverty, students may feel burnt out, distressed, anxious, and overwhelmed. It’s not just their heads that hurt; in addition, their hearts hurt too (but only after receiving these “hurt” signals from the brain). What we are beginning to learn from neuroscience is that this response is not at all surprising. One of the maxims of sociology is that we need to be able to put ourselves in the shoes of others. Sociology teaches us about empathy, and we often promote this empathetic perspective as a way to guard against blaming the victim. For example, if we can try to understand what the victim of domestic experiences then we may be less likely to ask the common victim-blaming question: “Why didn’t you leave?” Instead, we will ask questions about the lack of structural, legal, and familial support that inhibits victims from leaving their abusers. From an analytical and sociological perspective, empathy is not a bad thing because it helps us to see the bigger picture. But from a neuroscientific perspective, empathy may actually be problematic and may lead to the type of burnout that students often express at the end of a sociology course. Some intriguing new research around empathy is being carried about by neuroscientist Tania Singer and former Buddhist monk Matthieu Ricard. In a recent study, they found that when respondents were asked to empathize with videos of human suffering they experienced an “increased negative affect and brain activations in anterior insula and anterior midcingulate cortex-brain regions.” In more simple terms, the respondents experienced the type of pain and distress that often leads to burnout. The big takeaway for sociologists is that if we only spend our time trying to put ourselves in the shoes of others in order to better understand the injustices and inequalities that individuals face, then we are likely to feel burnt out, distressed, anxious, and overwhelmed. But if we take our sociology a step further and participate in strategies and actions that work to relieve the injustices and inequalities that others experience, we are less likely to feel defeated and more likely to feel strengthened and buoyed. In short, we should strive to be compassionate sociologists. The three connections between sociology and neuroscience that I have discussed in this post are just the tip of the iceberg for the type of current and future research that is being conducted in this area. If you are looking for a fascinating topic for a class assignment, a thesis, or just to extend your knowledge, I would encourage you to explore this connection further. If the information gets a bit overwhelming and intimidating just remind yourself that all you are really taking about is a three-pound spongy mass that can easily fit in the palm of your hands. Hi there, my name is Victoria and I am a master’s student in Applied Sociology in Texas. 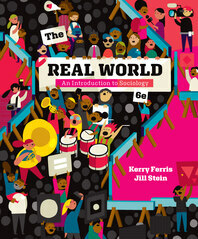 This is my first time finding this blog but I am on the hunt for Sociology blogs for inspiration and knowledge sharing. What a great blog post. I have been interested in the connection between neuroscience and sociology and this has made it more inciting. I also feel relieved to know that when I apply my knowledge into action, I can relive those brain and heart pains! I will be reading the articles you referenced for more! Thanks for the insight! students might leave their first sociology session mentally exhausted from thinking too hard. Interesting. 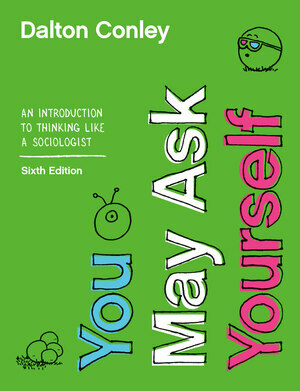 i have never thought of studying or even reading anything on sociology...now am thinking, maybe I should start! I really enjoyed your post. I am currently taking my first Sociology course and it is a little intimidating. 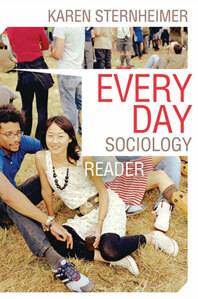 Your take on Sociology is somewhat of a breath of fresh air. very well written sir. 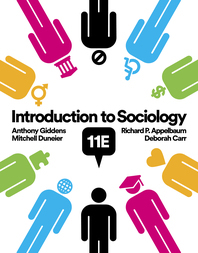 I always thought Sociology as a boring subject. Thanks for enlightening me to think otherwise. Interesting read indeed. The brain is such a complex matter, that I did not realize can be physically exhausted from thinking too hard. Neuroscience and sociology emerging helps me better understand sociology and the complexity of the brain. It is very interesting how learning sociology allows us to exercise our brain, an open up our minds. Developing critical thinking skills, asking questions and problem solving in sociology allows stimulates our anterior cingulate cortex and dorsolateral prefrontal cortex. We can eventually burn off too much brain fuel, giving us that feeling of exhaustion. All sociologist will eventually need to use quantitative analysis, and when using mathematics, your brain responds as if you were listening to music. In sociology to understand social problems, its important to put yourself in other peoples shoes, and empathize. Being compassionate sociologist makes our brains stressed out, but instead of becoming stressed, we must look for a way to solve the problem. 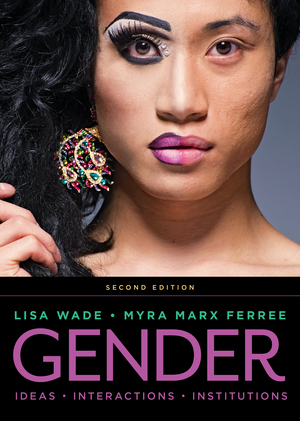 This article was very eye opening, I am looking at sociology in a much different way. I would like to know how we can train our brains, and strengthen them without becoming overly exhausted?